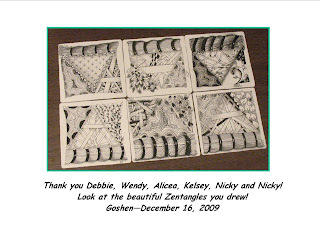 Zentangle - Time To Tangle: Look at these great Zentangles! Look at these great Zentangles! Combining these patterns is what makes a Zentangle ™. to show to just about anyone. Previous drawing experience is not required. Really! For classes in New Hampshire, contact me at timetotangle@comcast.net. I love your work! I am so happy to have found your blog! I hope you have a wonderful New Year!